Achim Computer says it’s turning out 100,000 electronic products a year and is increasing production. Of course, the number is impossible to verify as is the extent to which any of its products are manufactured domestically. Like most of the North Korea electronics industry, it appears the company at best assembles products from parts and boards shipped in from overseas. 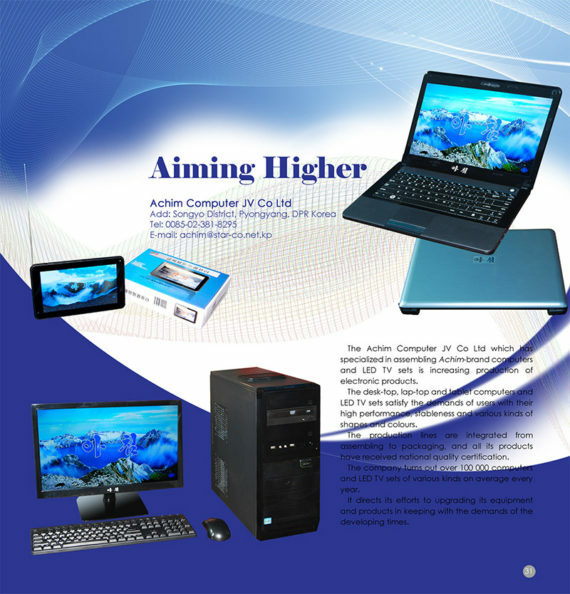 The company was formed in 2002 as Achim Panda Computer JV, a joint venture with China’s Panda Electronics, and has produced desktop and laptop computers. In 2012, it also marketed one of North Korea’s first tablet computers. 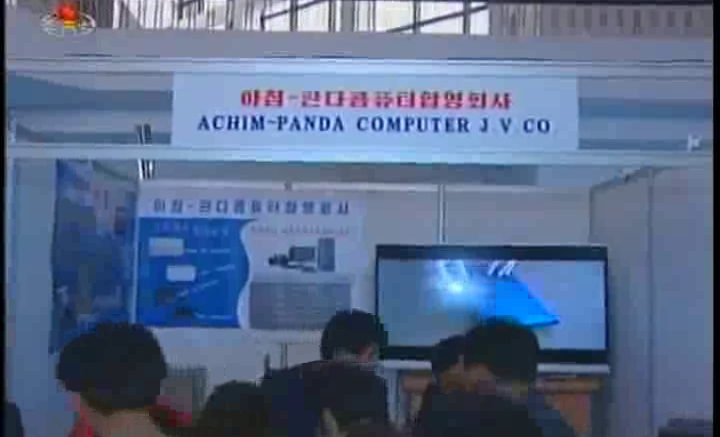 The Achim Computer JV Co. Ltd., which has specialized in assembling Achim-brand computers and LED TV sets, is increasing production of electronic products. The desktop, laptop and tablet computers and LED TV sets satisfy the demands of users with their high performance, stableness and various kinds of shapes and colors. The production lines are integrated from assembling to packaging and all its products have received national quality certification. The company turns out over 100,000 computers and LED TV sets of various kinds on average every year. It directs its efforts to upgrading its equipment and products in keeping with the demands of the developing times. Curiously, the ad copy and corresponding company details drop the “Panda” name.